I hadn’t been out to the Salt Lick in a long time. But, it’s the kind of place that doesn’t change that much over the years. With it being the Thanksgiving Day weekend it wasn’t like I was in need of a lot more food. I’ve been more than well fed in recent days. But with some out-of-towners saying they really wanted to go to the Salt Lick it seemed like a good day to go check it out again. With weather wet and in the 40’s I would have figured there wasn’t a lot of folks that were interested in getting out and driving down to the Driftwood area to have a big meal of BBQ. But then of course I’d be wrong. Now as crowds go, they can be a lot larger at the Salt Lick. You can wait for hours. But arriving mid afternoon on a holiday weekend Sunday, we got in right away. I got the baby back ribs but had the luxury of sampling some of the brisket as well as the sausage. The ribs and the brisket were very enjoyable. Wasn’t as much of a fan of the sausage. 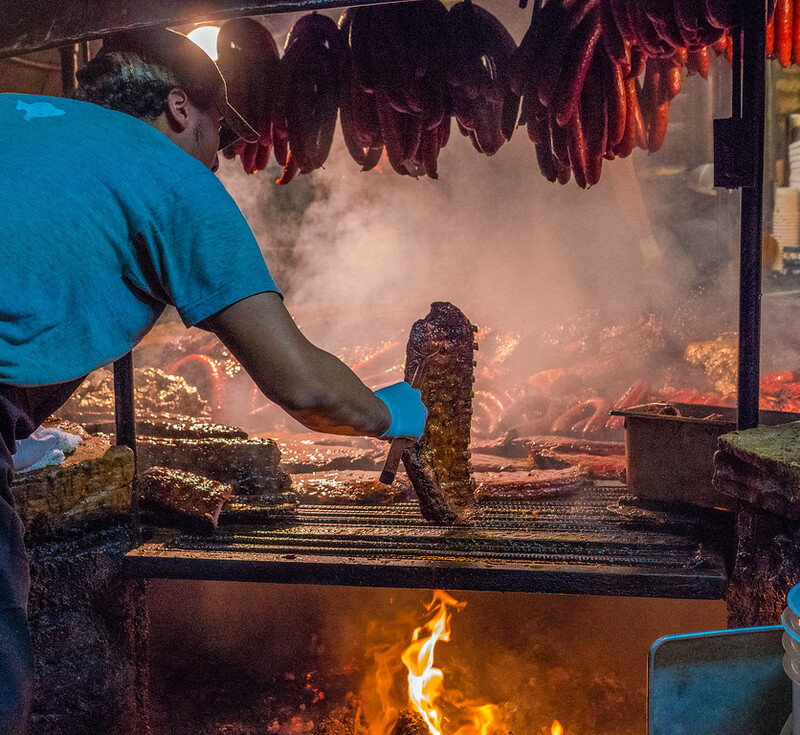 BBQ aficionados from here in central Texas can sometimes pooh-pooh the Salt Lick. It’s touristy and this or that and doesn’t measure up to some other vaunted BBQ place somewhere in TX. But they’re popular and have been for ages for a reason. It tastes good. And the service is good especially considering the throng of people they deal with routinely. These days, they also have a wine tasting place right on the other side of the dining room where you can find Texas wines that just happen to go quite well with a plate of BBQ. We opted for a bottle of Fall Creek Tempranillo sourced from the Salt Lick vineyard. Can’t get more local than that, and it worked well with the barbecue. Sides were potato salad, cole slaw, baked beans, jalapeños, pickles, onions and mounds of bread. I passed on the onions and bread but tried the rest. All fine if not exactly piping hot. I’m not as much of a fan of the sauces but that’s just personal taste. All in all, can’t beat a trip out to the start of the hill country and some tasty BBQ. A nice finish to the Thanksgiving Day weekend.